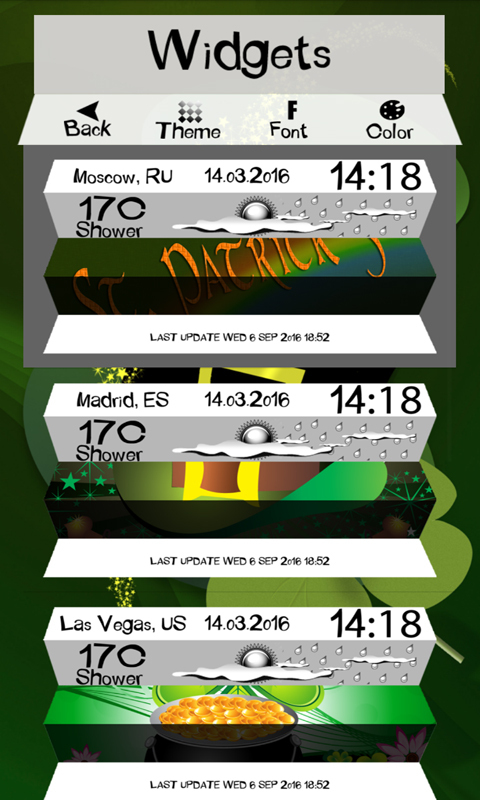 We present the newest ☂Clock Weather St. Patricks Day☂ to all of you who love celebrating holidays! 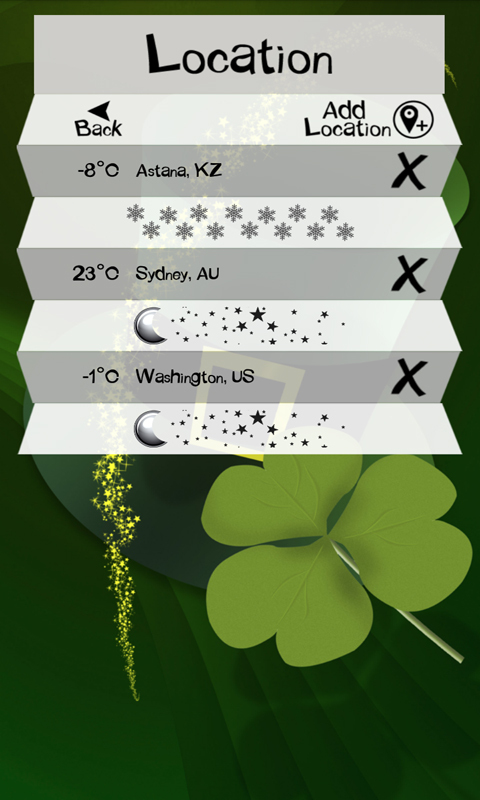 If you want to make this special day even better, decorate your phone with unique widget and have the most of fun on this special holiday. 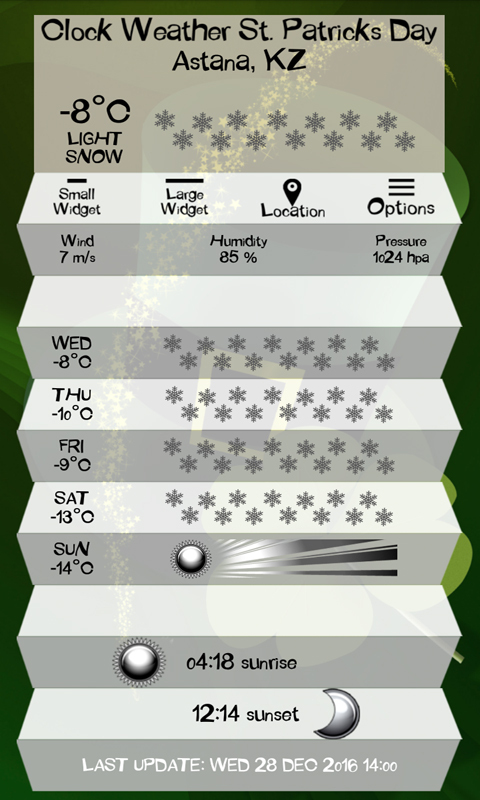 This popular application was made to inform you about the weather and thanks to it you will always know how many degrees of temperature there are outside. 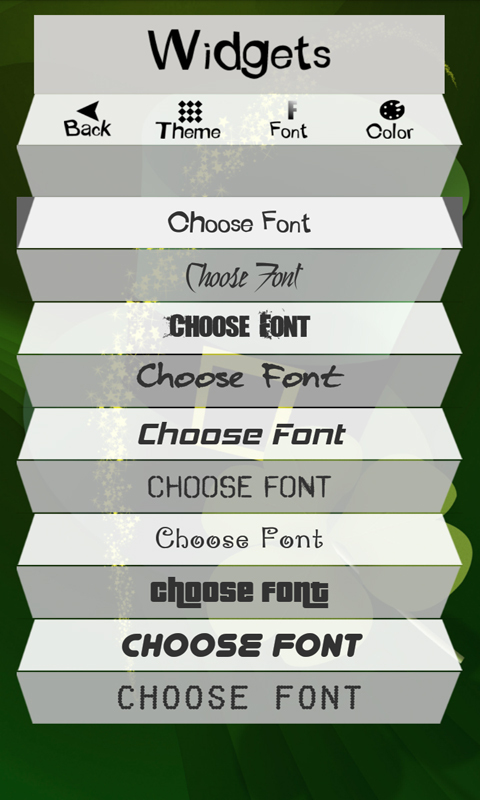 It offers plenty of themes, so scroll through them and find the one you like the most. Perhaps the one with shamrocks, coins and horseshoes is going to draw your attention? 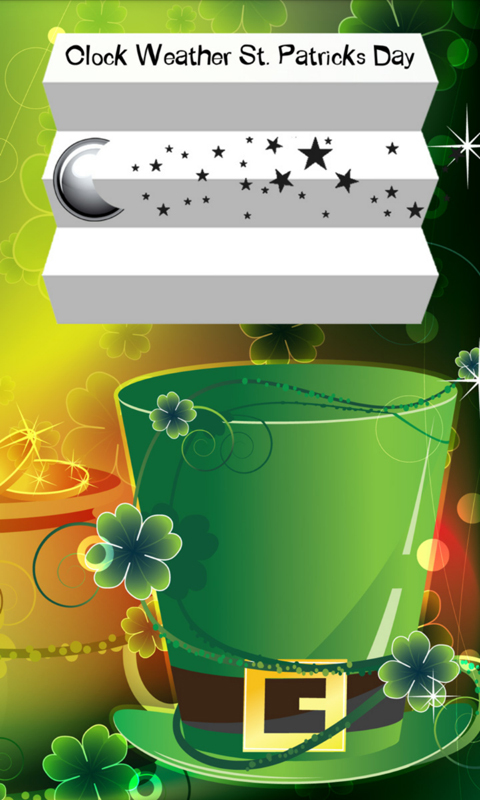 It is so bright and shiny and your widget will look fantastic with it. 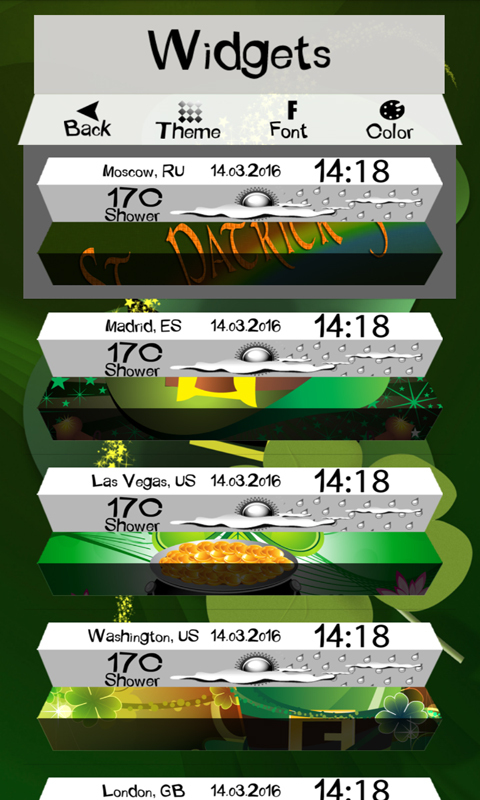 If you want to use it, don’t wait any longer and download free ☂Clock Weather St. Patricks Day☂ app as fast as you can! Thanks to this top application you will always be well informed and you will know what to expect when you leave the house.